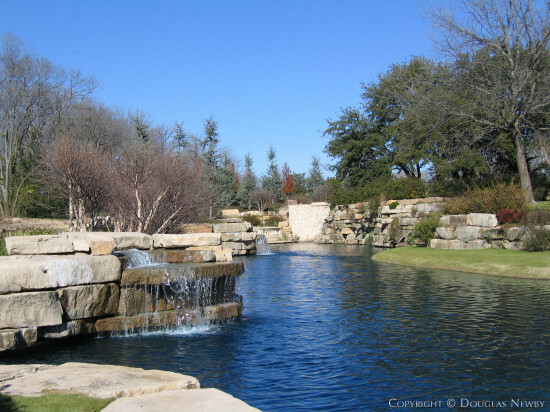 Glen Abbey is the one neighborhood in Dallas that has a guarded and gated formal entrance and the graciousness of estate properties on bluffs and creeks surrounded by a nature preserve, park, and greenbelts, only twenty minutes from downtown Dallas. Modern home designed by Oglesby·Green in the Glen Abbey neighborhood. 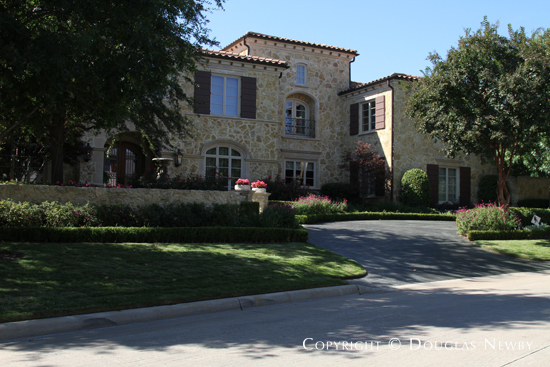 One of the finest Architecturally Significant modern homes in Dallas is found in the gated community of Glen Abbey. 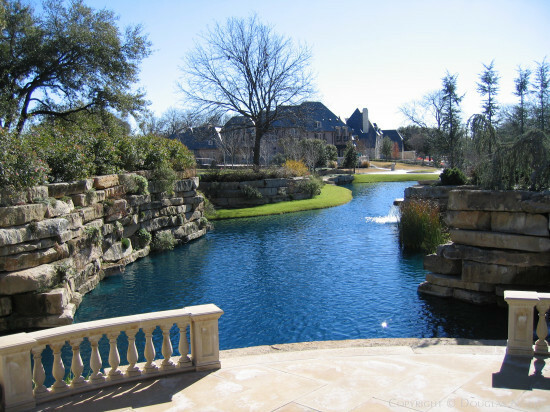 If you love an environment with endless views of beautiful land, dramatic topography, a wide flowing creek, and at the same time desire a small, secure gated and guarded prestigious neighborhood of architect designed estate homes, then Glen Abbey is perfect. The streetscape of this very quiet neighborhood reflects the high power executives, business owners, athletes, and their families that comprise the collegial atmosphere of Glen Abbey. When one enters a home in this neighborhood, the street disappears and the beautiful gardens, mature trees, and gorgeous views appear. 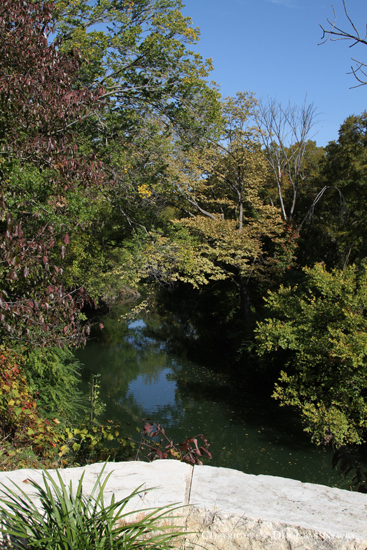 White Rock Creek flows behind many of the homes, separating Glen Abbey from a nature preserve and greenbelt. The sights, sounds, and lights of the city are pushed further back by Preston Trail Golf Club and Bent Tree Country Club that form a perimeter wrapping around the greenbelts adjacent to Glen Abbey neighborhood. 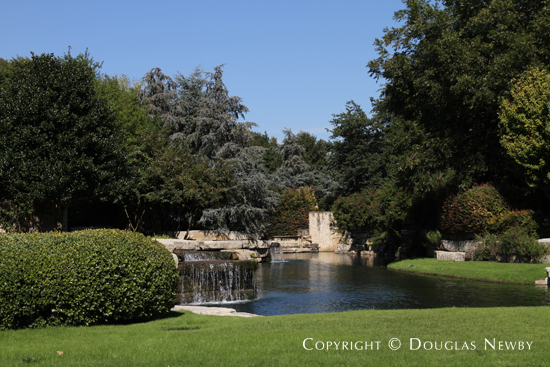 The vast original estate property of Lupe Murchison was known as being some of the most beautiful land in Dallas. 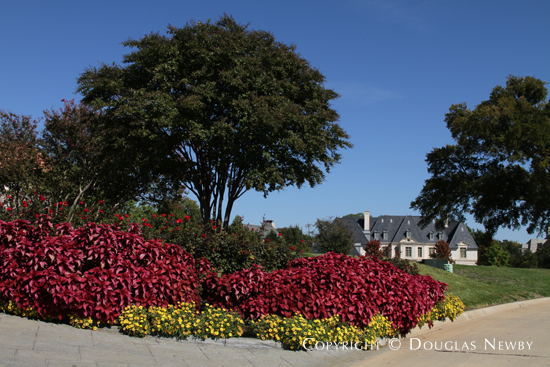 Here, the Glen Abbey neighborhood was created to capture the splendor of the land for architect designed estate homes. Designed guidelines require the craftsmanship and design dexterity of fine builders and architects. 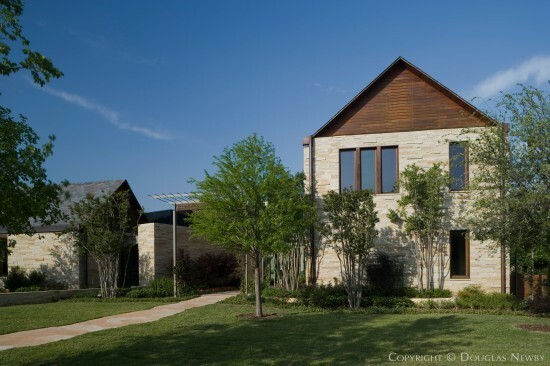 The best example of the quality of architecture found in Glen Abbey is the home designed by Graham Greene of Oglesby Greene, the 2010 Dallas chapter AIA firm the year. 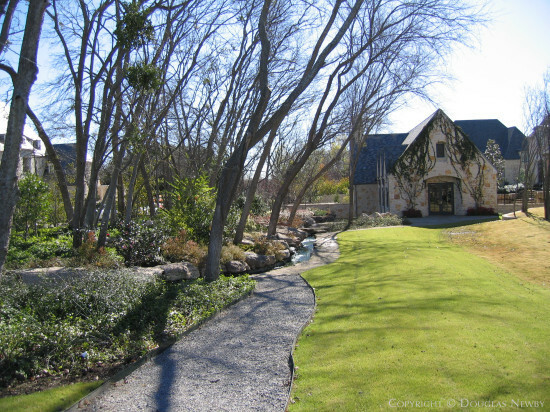 Its front facade draws from centuries old European homes while the interior exudes modernity and opens up to nature as adeptly as any home in Dallas. As a home owner in Glen Abbey, you will be able to walk your dog to Dallas' first dog park. The city of Dallas opened Wagging Tail Dog Park in 2009. The city maintains and monitors this seven acre park for unleashed dogs and their owners to enjoy this natural setting. 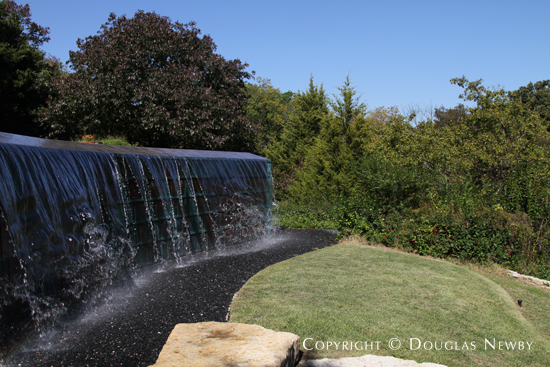 The Wagging Tail Dog Park located between Keller Springs Road and White Rock Creek is another amenity of nature that embraces the Glen Abbey neighborhood. Concentric circles of creeks, small lakes, greenbelts, parks, and golf courses surround the Glen Abbey neighborhood. Glen Abbey is not a golf course development. Here you are looking over a bluff not a tee box. You do, however, have the advantage Preston Trail Golf Club and Bent Tree Country Club around the corner. 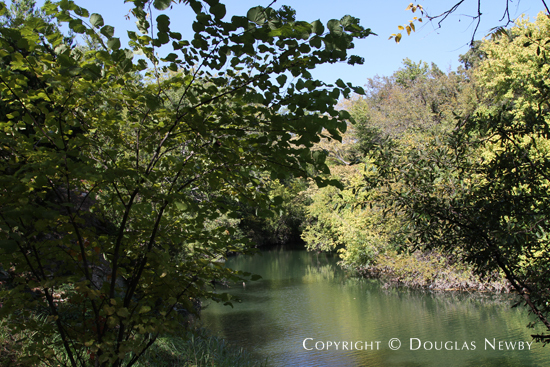 If you are a member of Preston Trail Golf Club, you might even hike through the nature preserve and across the greenbelt and arrive on the seventh green of the golf course. 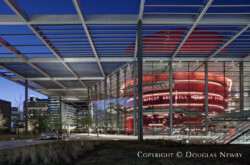 Long time Dallas residents are just beginning to realize that, with the expansion of the Dallas North Tollway and North Central Expressway, the Glen Abbey neighborhood, in what was once considered far north Dallas, is now surprisingly close to the commercial center of downtown Dallas and the Dallas arts district. The elite private schools are only ten or fifteen minutes away. Access to the private and public airports are also very convenient. Glen Abbey is an easy neighborhood to stroll or take brisk walks or run through the curving streets of this private neighborhood with very little traffic. Glen Abbey homeowners can also go to the clubhouse and exercise facility for more intensive workouts. 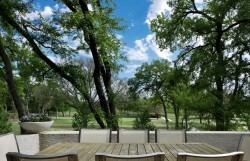 North Dallas, including Glen Abbey, is a great place to find a modern home for sale, Texas modern home sale, or mid-century modern home for sale. Glen Abbey inside Far North Dallas. Click on the map and discover each home as you explore this neighborhood.